•Pre-printed yellow tab constructed of Mylar. •Tab placed in position 2, along 11” side. Ancom stocks pre-printed medical chart indexes for the most widely used medical documents. 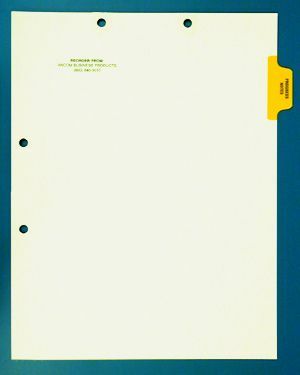 Color coded Mylar tabs placed along the 11” side of index sheets help medical offices find and retrieve the desired document easily and quickly.